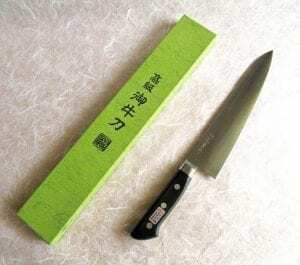 This is a Hisashige Japanese Pro Knife, Hi-Carbon Japan Steel model, Gyuto180 mm /7.1″- 300 mm /11.8″, one of famous workshop in Seki / Gifu prefecture Japan. 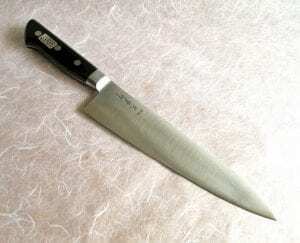 This model is based on Hi-Carbon Japan Steel for basic professional use. 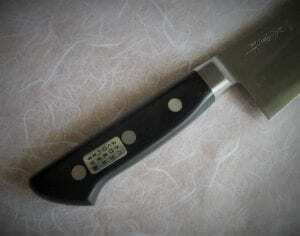 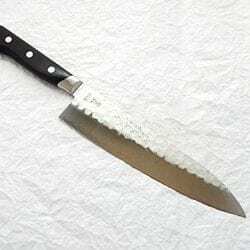 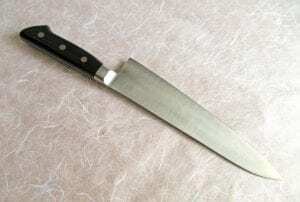 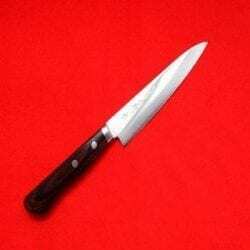 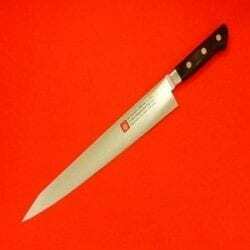 Paring Knife, Slicer, Boning Knife and Santoku also available. 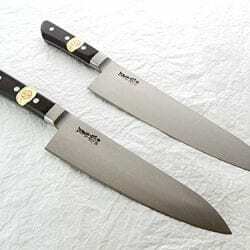 Photos show 300mm & 210mm model, for your reference. 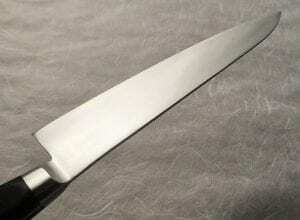 Remarks: *Blade Length of Gyuto Knife defines the length from top edge of the blade to the end, Not at the root of steel.